Stay on top of what's happening at Albertine. Sign up for our newsletter. Catch up with the latest news and what's going on at Albertine on our Twitter feed or click here to see our past newsletters. We are now taking reservations for Christmas parties. We have designed a menu of sharing starters with choice of mains and puddings for £35£/ahead. 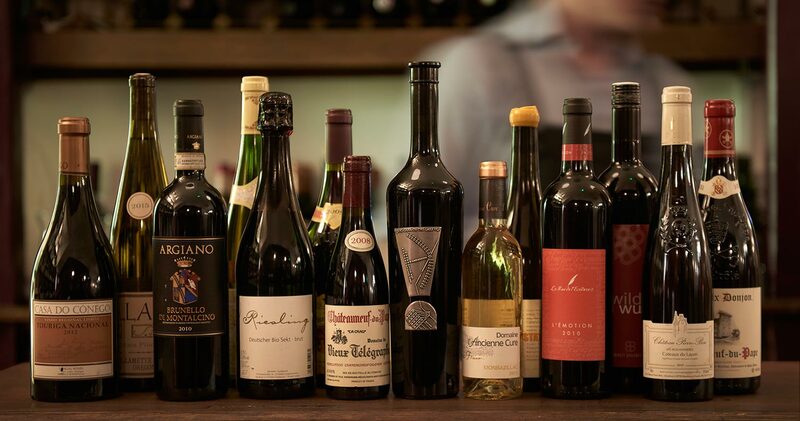 We can of course help you select the perfect wines to accompany your meal. Albertine’s wine list is an eclectic, thorough romp around the world, showing off the best grapes, producers and techniques on the planet. Of our 150-bottle list, some come from legendary producers and others are emerging talents of the wine-making world. We draw mostly from individuals with small vineyards who really care about their wines, vines and environment. From Major League Big Hitters to great value session wines we’ve everything in our cellars from world exclusives to everyday drinking…as Kingsley Amis would say. We have a wine for every penchant and pocket, so why not pick up a bottle/case after a visit or pop in as you pass by to get stuck into in the comfort of your own home through our handy off license, thus taking advantage of superb wines at affordable prices. 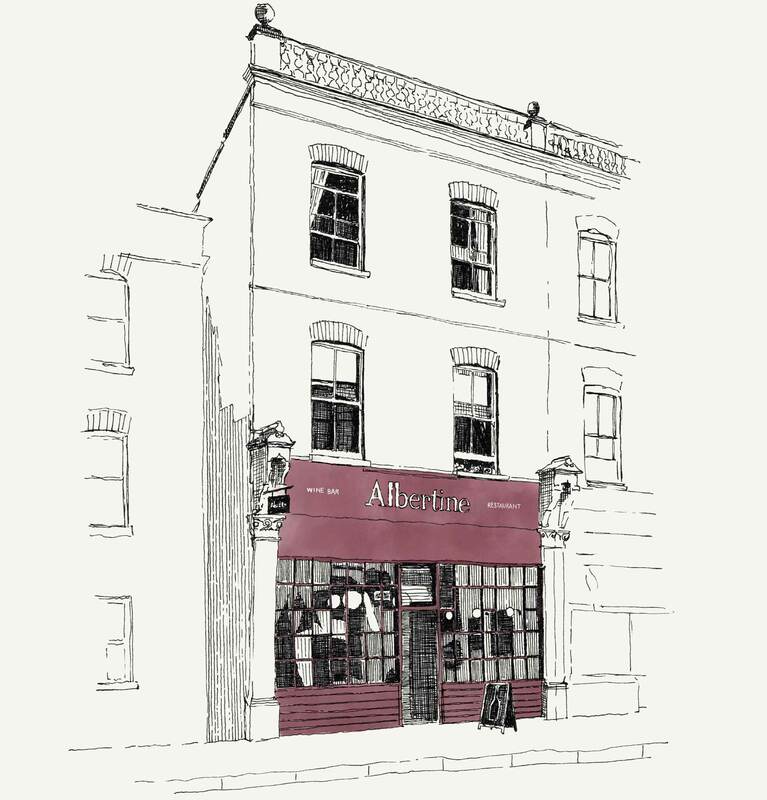 Albertine’s bar is nothing less than a local landmark: started in 1978 by Sarah McEvedy (current co-owner Allegra McEvedy’s mum), the cool, cosy pew-lined room provides a much needed restorative haven from the mayhem of Shepherd’s Bush. 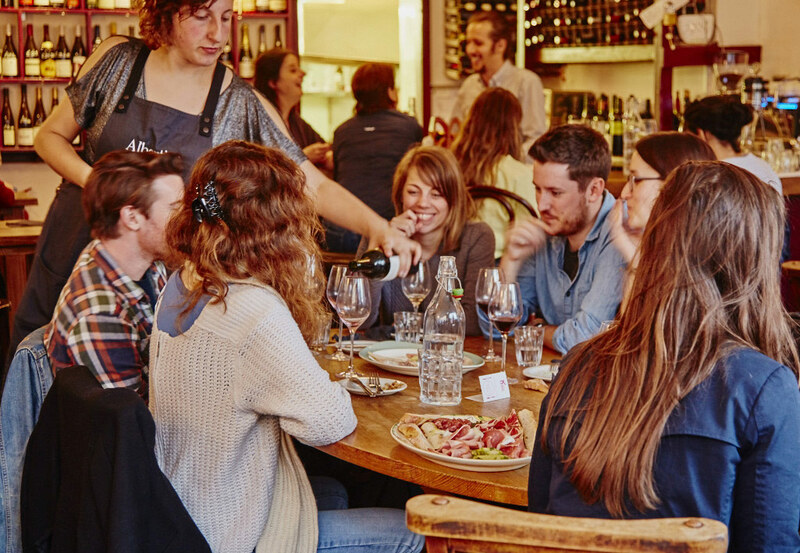 Use it how you will: pop in for a quick glass and plate of cheese or charcuterie or settle in with the expansive, contemporary yet classic wine list for a few hours. As standard we run 20+ wines by the glass and because of weekly specials as well as our rolling calendar of promos and events, plus the seasonally changing list there’s always something to learn at Albertine for folks interested in expanding their wine knowledge. Food-wise the bar menu ranges from snacks to main meals via a range of mid-sized starters and sharers. Our aim is to keep it contemporary whilst giving a proper nod to Albertine’s 70s Francophile heritage. As always there’s also a cracking choice of European cheeses on the blackboard…now with the addition of puds too! Our first floor restaurant is a relaxed, airy room providing the perfect contrast to the busy bar downstairs. Here Head Chef Rob gets to spread his culinary wings across the mostly pan-European menu in a room designed for conversation and bonhomie. In the restaurant reservations can be made from Tuesday to Saturday for tables of up to 8 people. 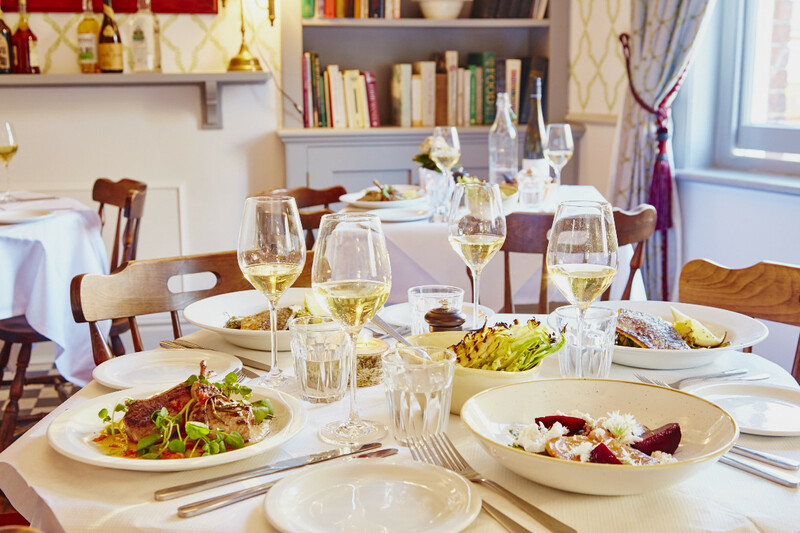 Albertine’s private room is a West London surprise: homely yet quirky in design, this versatile space can be used for anything from drinks & canapés for up to 30 to sit-down dinners from 8-16. With its own dedicated bar, chilled-out vibe and sky views, you feel light-years away from the madding crowd of Shepherd’s Bush below. Call 020 8743 9593, or click here to email us about your event. We recommend our private room on the top floor for parties of 8+ diners (no room charge but we do require a minimum spend). 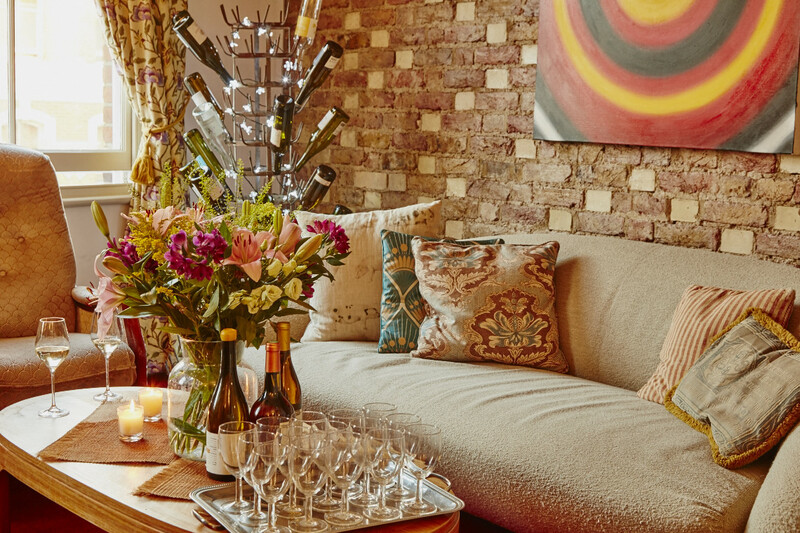 The private room can also be booked for more casual events like drinks parties, leaving dos, book clubs, mother & baby groups etc. Call us on 020 8743 9593, click here to email us, or use the online booking service below. 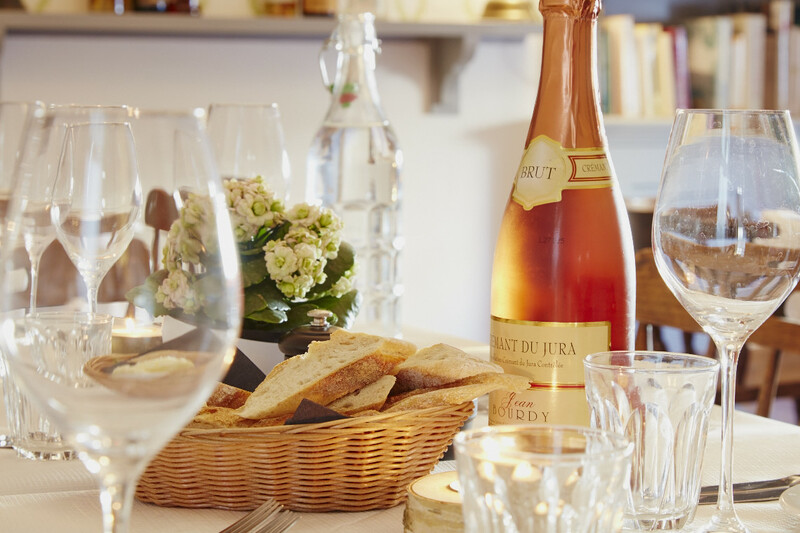 Why not treat your friends and loved ones to dinner or drinks at Albertine, or a bottle or two from our wine shop. 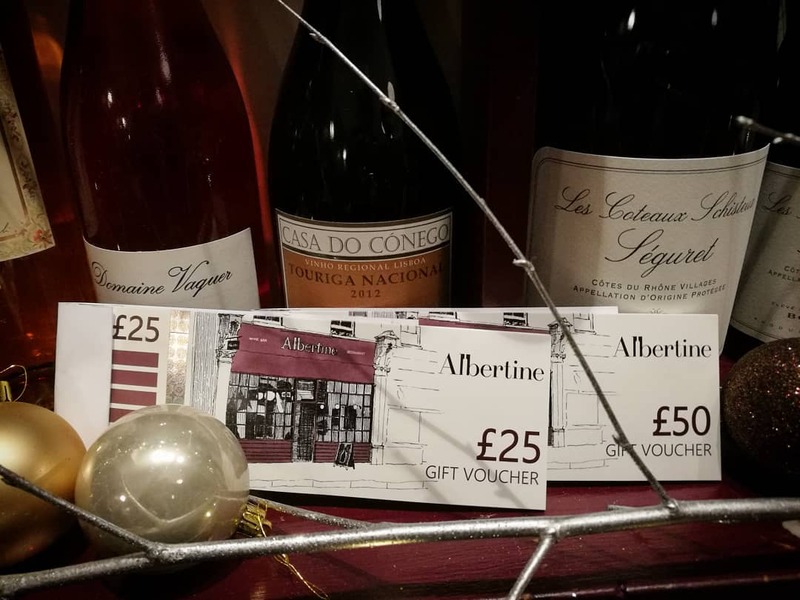 Our Albertine Gift Vouchers come in £25 or £50 denominations from the bar, and are an ideal present for foodies and wine lovers all year round for birthdays, anniversaries, thank you gifts and any other love-needing moments! Albertine accepts Gourmet Guide vouchers, which are available to purchase as online here. 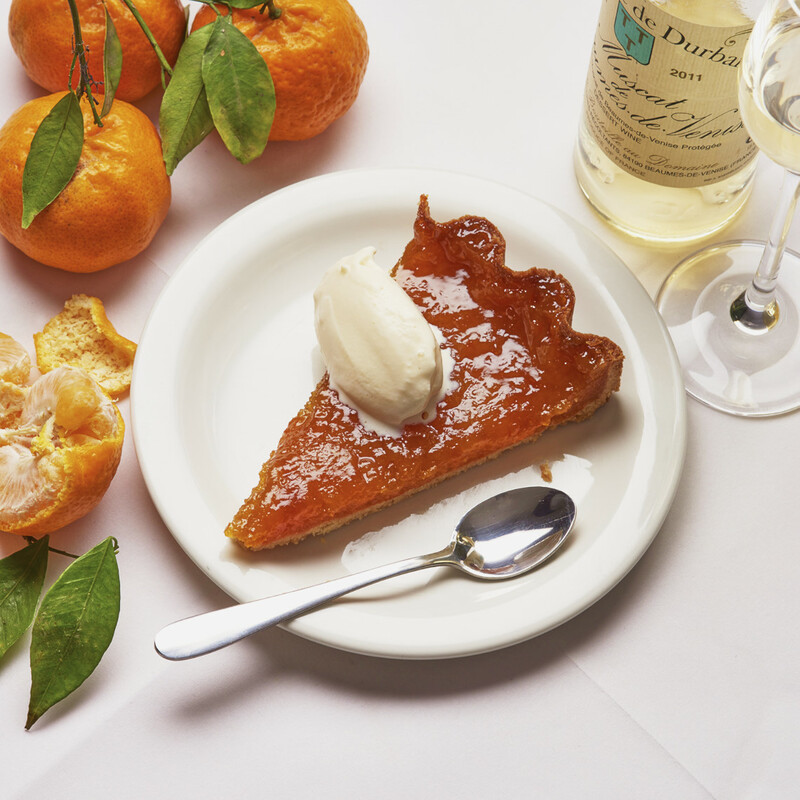 To use them, simply book in advance via the Gourmet Guide website, citing the value of your voucher or amount you wish to redeem at Albertine.